A half- to one-page statement of your interest in the COMBINE program. A one- to two-page statement of your research interests. This statement should cover both your prior research experience and your interests for future research. A UMD transcript (unofficial is okay). An undergraduate transcript (unofficial is okay). One or two letters of reference. Please ask your references to send their letters to combine@umd.edu with the subject “Reference letter for FirstName LastName”. COMBINE fellows typically participate in the two main COMBINE courses in the calendar year of their application: CMSC828O (Network Analysis across Scales, Fall), and PHYS798N (Data Practicum, Spring) (see curriculum for more details). NSF stipend start date can be requested to be anytime from January through August of the year that follows your application (earlier start dates may be possible under special circumstances). 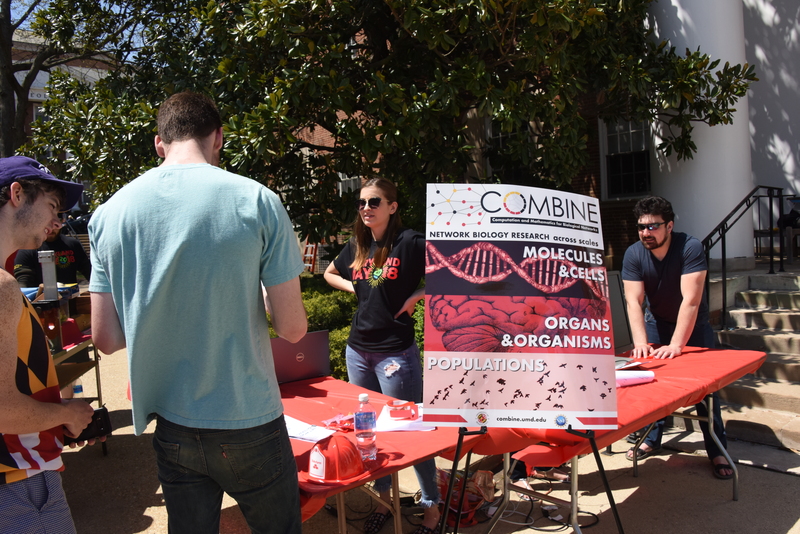 If you are interested in the COMBINE program but not ready to apply for the Fall 2019 cohort, please let us know here . We will place you in our records and remind you of upcoming COMBINE events and deadlines.